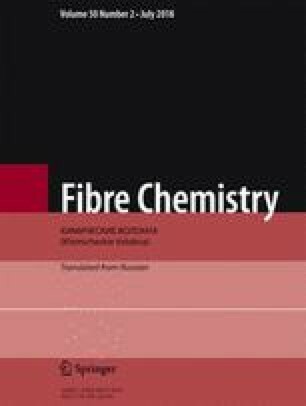 Modification of fibrous ion-exchange composites by adding ultradisperse metal particles is a promising method for producing composites with high operating characteristics. Modifiers of Ni and Fe in polycondensed Polikon K composite act as additional linking centers, alter considerably its structure, and improve the property set. Translated from Khimicheskie Volokna, No. 2, pp. 20-21, March—April, 2018.